petizione: Media we demand immediate action! Media we demand immediate action! Media need accountability. 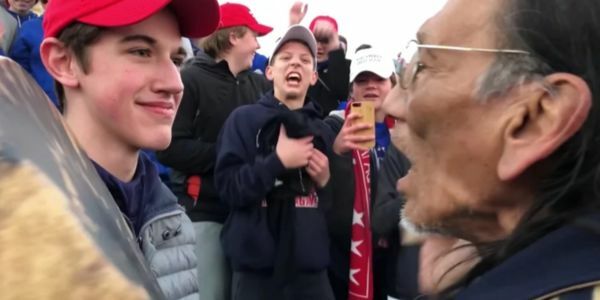 Over the weekend, Media started to report a story accusing a bunch of teens wearing MAGA hats harassing a Native American Vet and the story took off became viral. A particular teen was singled out in this story. It came to an understanding that this young lad did nothing to aggravate and provoke the native American man. He may be wrongly accused. Several videos seem to support the fact that the young lad simply stood his ground and did nothing to show he harassed the elder. In light of this, we demand that the media first of all to retract their original stories. Post your apologies on online and to the young lad for the misinformation they spread causing threats on his life and his parents as well as unnecessary pain on him. The correction and apologies should as visually prominent as the original stories that went viral. This petition goes to news media such as CNN, MSNBC, INDEPENDENT, NBC, Others. Please respond we demand action!